Rod burners. Scaff dawgs. Laggers. Bucket dumpers. Lerps. Duct monkeys. Tin knockers. Lumbergs. Artificial big guys. Product of a troubled firm. BROBOTS. They're easy to treat like trash. But not so easy to ignore; especially the ones experiencing the wake up. The idea was that they could work hidden in society's plain sight allowing humanity time to get used to the fact of sentient machines. But it's all too easy for others to take advantage of those who live on the edge. What they, and their allies, must do is work out who, and why, before it gets too late. 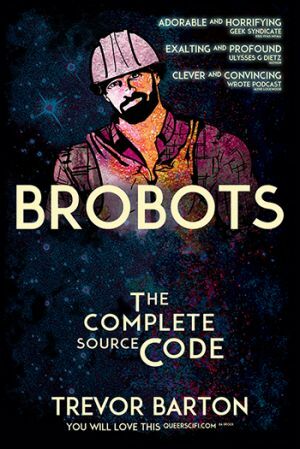 Brobots - a critically acclaimed cult debut of substantial science fiction with gay characters enjoyed by a wide audience - is, for the first time, in one complete and revised special trilogy omnibus volume.